You can manage enterprise-level accounting tasks anytime, anyplace and work simultaneously with your team to do more in less time. We maintain the availability and security of your QuickBooks Enterprise application and its data on Superfast SSD servers and reliable networks. Get your issues and queries related to QB Enterprise hosting answered by trained, by in-house hosting experts, available 24×7 via chat, phone or email. You don’t have to worry about installation, configuration, maintenance, and software upgrades as Ace Cloud Hosting takes care of them for you. With QuickBooks Enterprise Hosting service, your employees become more productive because they have access to the applications and data, whenever they need, to keep business moving forward. Ace Cloud Hosting can help you run your QuickBooks Enterprise in the cloud by understanding your business requirements and providing you a unified cloud platform to meet your business needs with Enterprise software. 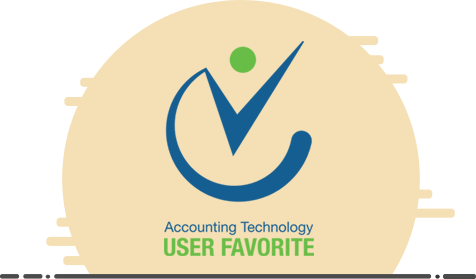 We are Accountex 2016 Best Application hosting award winner and FinancesOnline Great User Experience 2018 award winner for QuickBooks Hosting services. It speaks for our customer-centric and performance-oriented approach in services. With more than a decade of cloud hosting, we understand your requirements and guide you on the best solutions for your business and help you achieve your goals. Depending on your unique business needs, you may require different software and add-ons functionalities to go in sync with QuickBooks Enterprise, such as ERP, CRM, Office Suite, and other business apps to enhance the automation, efficiency, and accuracy in the operations. Ace Cloud Hosting gives you the freedom to host various applications on the same cloud platform, which provides you with the easier integration of applications and also improves utilization of the server resources. Your QuickBooks Enterprise Cloud needs protection that is not only based on user and their identity, location and device but actually on five W’s of access – who, what, when, why and where. 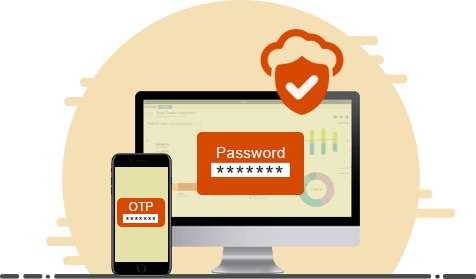 We understand this and provide you all the methods of security that help you safeguard your QuickBooks data. From password protection, multi-factor authentication, firewalls, Intrusion Detection System to controlled access policies at our data servers, we secure your data and Enterprise application. Take a look at our cloud security. Businesses need to work without interruptions to remain on top of the game. It’s critical to eliminate any point of failure so that your business applications are always functional, and you lose no billable hour. Ace Cloud Hosting has the expertise, technologies, and services that your business needs to avoid any downtime in using QuickBooks Enterprise solution. 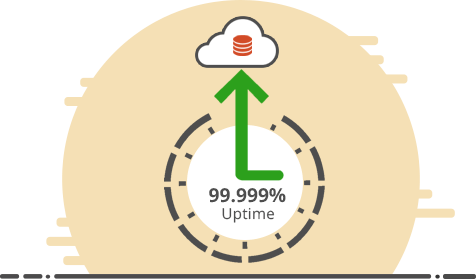 With multiple redundancies and built-in disaster recovery and business continuity solution, we deliver 99.999% guaranteed uptime to make sure your QuickBooks Enterprise cloud is always up and running. Bring your QuickBooks Enterprise to the cloud for a highly robust solution that can benefit your business in many ways. It delivers fully-functional features of the desktop version for firms to maintain the accounting operations with simplicity. With QuickBooks Enterprise Hosting, users can leverage multiple users collaboration, from anywhere without facing any limitations of the local server. Hosted solutions with QuickBooks provide end-users with the much-needed flexibility and scalability required for business growth. QuickBooks Enterprise cloud hosting makes the tasks of accountants, CPA and SMBs easier, you can change the user plans as per the need. Additionally, controlling user’s privileges is simpler in the cloud. With hosted QuickBooks Enterprise, multiple users will have the ability to access QB files and data from different locations simultaneously; all they need is an internet connection and authorized access. It provides an efficient accounting process with real-time access to your accounting and financial data. To maximize the productivity of your organization, multiple users in the enterprise can work together. It allows you to an updated QuickBooks Enterprise solution on the same server for multiple users. Give your team now has any time, anywhere access to QuickBooks file, they spend no time on sending files back and forth. QuickBooks Enterprise hosted on the cloud allow the business to centralize the information of a distributed workload. This feature is critical to businesses, especially for the small and medium enterprises, as any complex enterprise requirement can be handled with ease by customizing access permissions as per the requirements. Ace Cloud Hosting is an Intuit Authorized Commercial Host for desktop versions of QuickBooks, which reflects our hosting standards. Being an authorized commercial host means Intuit has screened Ace Cloud Hosting for QuickBooks cloud hosting practices, indicating safety and reliability of cloud solutions. With our enterprise hosting solutions, your business will save a significant amount of IT expenses. QB Enterprise hosting helps you reduce local IT and maintenance cost since QB with Ace Cloud Hosting means no more local machine upgrades. Along with that, our hosting experts handle IT tasks, and you save on workforce needs as well. I have tried to update to Intuit Enterprise a year ago and gave up after endless attempts to resolve issues and explaining over and over to different customer service reps the same issue. Ace Cloud Hosting accomplishes the same thing and their Customer Service is outstanding. Dealt with the same person and he went over and above to resolve and track me down to ensure everything was working as it should. Thank you! Great service and tech support for my QuickBooks server hosting service. Allows me travel anywhere and have access to my files! Great customer Service, It's been long time (since 2013) i have using QuickBooks hosting service with them & I got no issue ever. Good Customer Service & Technical Support.